I was school boy at the old Mains School on Claverhouse Road situated at the bottom of the old Mains Loan. I started attending Mains School in 1947 and left in 1954 to go to Stobswell Boys Secondary. 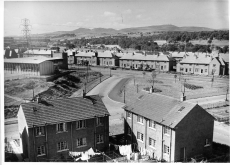 Whilst at the Mains as it was called, I had some wonderful memories, Mrs Mackie was the school cleaner and caretaker and she lived in her house just a short walk from the school. I can remember in the winter her lowering the paraffin lamps to light them in the dark mornings so that we could do our lessons and also heat the little bottles of milk that we got every got every morning on the coal stoves to warm the milk for us. Miss Jean Davidson was Headmistress, there were four classrooms so some primary classes were doubled up and the teachers taught two different class years in the same rooms. My first Teacher was Miss Bryceland who taught our class for two years before she left to have a baby (We did not know the reason why she left as we were so young at the time) but she gave every pupil a present before she left. 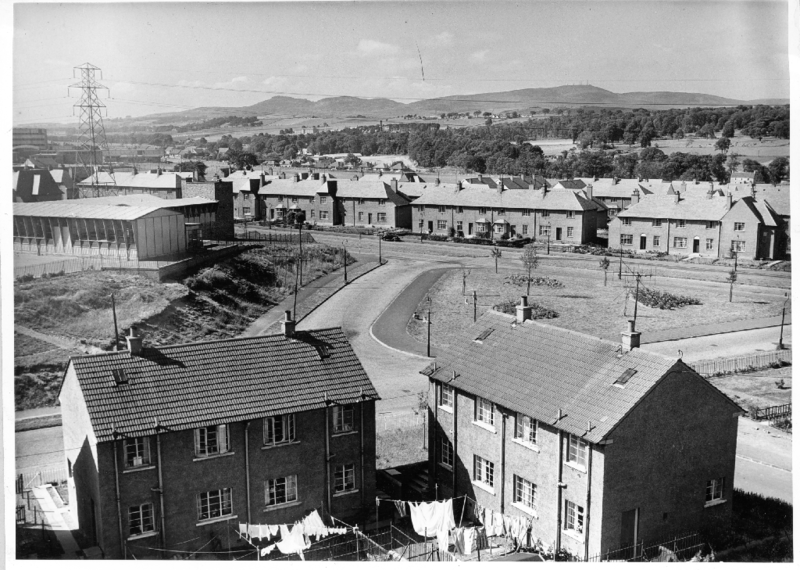 Mains was a wee country school who catered mostly for the farm workers children, but as housing started being built in Kirkton and Fintry schemes, there was a great influx of schoolchildren coming into the area and pupils were sent to the Mains. craft work, boys carving wood, girls knitting, they asked us all for our names and addresses as some us might be lucky and receive a gift representing the Coronation. The following week the pictures were in the Peoples Journal newspaper, there were two pictures one of the boys and one of the girls, some of the pupils had white circles around their heads. As I was one of the lucky ones I received a gift of a Specially Minted Crown piece in a plastic moulded holder. That was one of the many happy memories from my days at the Mains School. Sixty years after that picture was taken I still keep in touch with three of my old teachers Muriel Edwards, Belle Gray, and Helena Fawns.